When you ask a layman he will definitely say that a cloud is nothing but condensed water vapour. But, when he is retrieving his data from the internet, he is not aware that he is retrieving it from the CLOUD! Yes, in computer parlance, Cloud refers to the latest mega-trend. Cloud service is any kind of a service that is provided to the users on the World Wide Web. Isn’t it a baffling fact when we say that internet has so far and is going to in the future transform the way in which we can conduct our lives and work. It throws open a multitude of opportunities and brings the world even closer through its Cloud connections. The fixed internet has brought one billion users together but with the internet enabled mobile users, the figure has only doubled. The latest cloud technology may be the biggest revelation that may come in the near future. The main feature of Cloud remains in enhancing the effectiveness of the various shared resources. The proponents of the Cloud services claim that it facilitates the companies to reduce infrastructure costs upfront and also allows them ample time to shift their attention on the project rather than waste their time thinking about infrastructure. We take great pride in stating the fact that Weberloo has its strong presence in Cloud as well. It has been our endeavour to offer only the best to our clients and we, along with our working partners leave no stone unturned to deliver services that are second to none. It is a joint endeavour to provide access to the users reliably and quickly as and when they need it. So, you can see that Cloud Services are being offered to you from the expert providers in the field and that too at extremely affordable pricing. With the help of this Cloud service, businesses can have their apps established and get into action within absolutely no time. This would bring about more manageability and also less maintenance. These aspects that come along with Cloud make the companies adapt to the situation easily and meet the fluctuating business demands with aplomb. This kind of a service has been found to maximize the usefulness of the computing power and at the same time mitigate various damages that may be caused to the environment too…read less consumption of power, less usage of air conditioning and less rack space. The biggest advantage of Cloud Computing is that many users can access the same server for retrieving and updating data and they need not have to purchase licenses for these different applications. There have been quite a number of factors that led to the growth of Cloud Computing. It is the easy availability of networks that come in with high capacity, computers that no longer cost a bomb and different storage devices that are available, service oriented architecture, hardware virtualization and utility…all these put together have brought about the phenomenal growth. The underlying fact remains that Cloud facilitates reduced costs and facilitates the users to channelize their attention on their core business arena rather than face impediments related to IT. 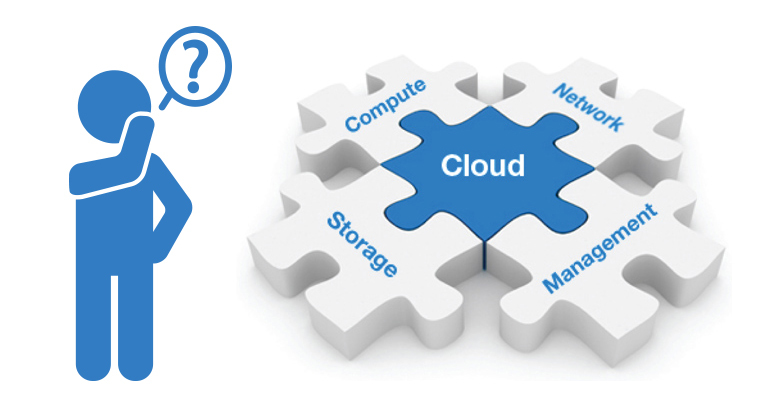 The fundamental technology that runs Cloud computing is the aspect of Virtualization. With the help of virtualization software one can make use of a single computing device as one or many virtual devices wherein each of the virtual device can be used to perform different computing tasks. Without the requirement of any kind of human interaction, the provider can offer computing capabilities like network storage and server time. There is broad network access, that is, access on the mobile phones, laptops, tablets and workstations, through the standard mechanisms. There is resource pooling where in the computing resources of the provider are pooled in order to be accessible to multiple consumers. This is done with the help of multi-tenant model that involves both physical as well as virtual resources that are assigned and reassigned dynamically based on the demands of the consumers. There is scope for rapid elasticity of the capabilities depending upon the demand, be it inward or outward. Cloud systems have a control and optimization of use of resources by having a metering capability that is appropriate to the specific service used. The services could be processing, bandwidth, active user accounts and storage. One can monitor, control and report the use of resources thereby offering transparency for the consumer as well the Cloud service provider. There are different service models for Cloud computing and they are Iaas (Infrastructure as a service), PaaS (Platform as a service) and SaaS (Software as a Service). The future of Cloud appears to be extremely promising as we have entered the most productive phase. All the issues related to Cloud have been deftly addressed and are now being exploited commercially too. Even though it is an extremely appealing market offering, there is a lot of scope for Cloud R&D too. In case you are looking for more answers related to this field, feel free to contact us.